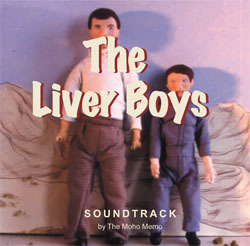 This enthralling five-song collection of pieces made for the short film The Liver Boys weaves a poignant emotional tapestry describing the joyous exhilaration, conflict and confusion that inevitably transpire in any tale of two boys and a piece of meat. Guest musicians Tony and Terry Liver, (slide guitar, vibes, mute) whose strange and gripping story is depicted in the film, lend a truth and Southwestern twang to these important proceedings. Arguably this collection represents the Moho Memo's finest work for film, presenting the pieces in their entirety for the very first time.